Rina Yamaguchi was born in 1995. 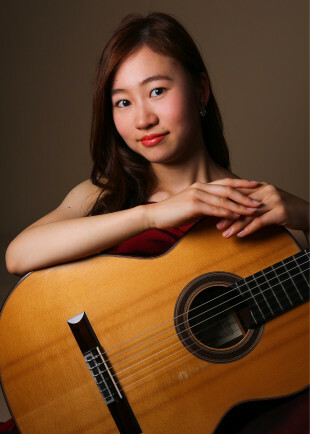 She started studying the classical guitar at the age of 8, studied under Maestro Kei Hamada. 2013, she entered Osaka college of music as a scholarship student. She studied under Maestro Keigo Fuji and Maestro Shin-ichi Fukuda.2017, graduated from the college and won outstanding performance award. She has received 1st prize in the 22nd Sanin guitar competition, 1st prize in the 42nd Music Grand Prize, 1st prize in the 26th Nagoya guitar competition. She was the winner and benefited from the Art Support Kansai scholarship in 2018.